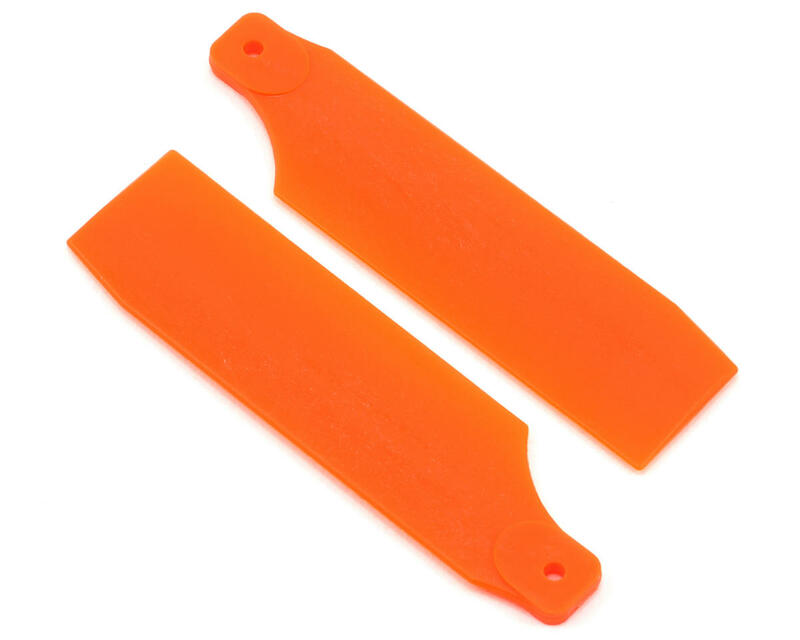 This is a set of two orange K&B Dream Designs Pro 61mm Neon Tail Blades, and are intended for use with the Align T-REX 450 size helicopter. 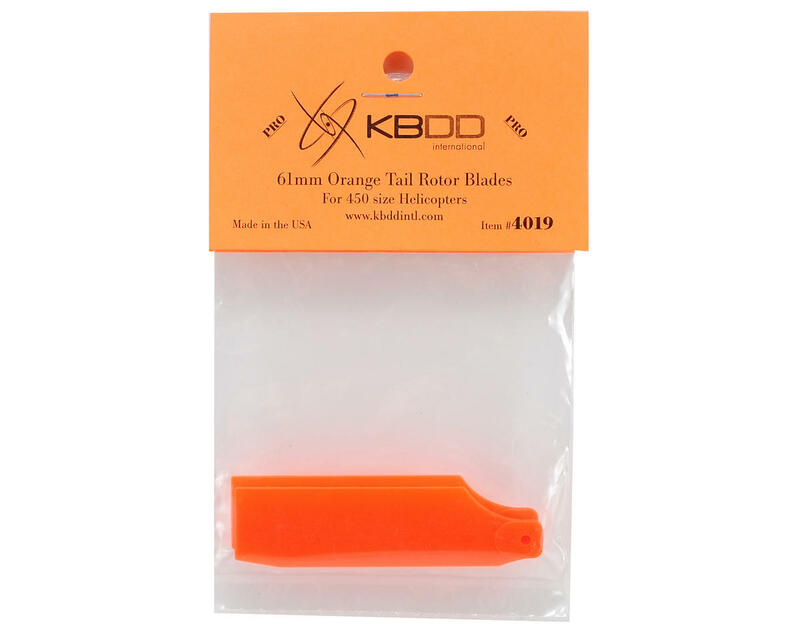 K&B Dream Designs Helicopter tail blades are created using a complex combination of materials which provide the perfect mix of strength and flexibility. The blades have a very large surface area, yet weigh very little. The colorant is made to specifications and is mixed as the blade is created. The color completely permiates the blade, and is not painted or applied. All similarly sized blades are the same weight, allowing the user to customize their tail rotor colors as desired.